The San Francisco Examiner is a longtime daily newspaper distributed in and around San Francisco, California. The Examiner is one of the pioneers in the industry and has been published continuously since the late 19th century. The longtime "Monarch of the Dailies" and flagship of the Hearst Corporation chain, the Examiner converted to free distribution early in the 21st century and is owned by the San Francisco Media Company LLC. The San Francisco Examiner was sold to Black Press Group, a Canadian media publisher, in 2011. 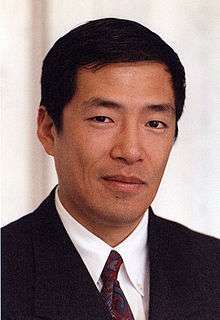 As of 2014, The San Francisco Media Company LLC is held under, Oahu Publications Inc., a subsidiary of Black Press Group Ltd. In 1880, mining engineer and entrepreneur George Hearst bought the Examiner. Seven years later, after being elected to the U.S. Senate, he gave it to his son, William Randolph Hearst, who was then 23 years old. The elder Hearst "was said to have received the failing paper as partial payment of a poker debt." William Randolph Hearst hired S.S. (Sam) Chamberlain, who had started the first American newspaper in Paris, as managing editor and Arthur McEwen as editor, and changed the Examiner from an evening to a morning paper. Under him, the paper's popularity increased greatly, with the help of such writers as Ambrose Bierce, Mark Twain, and the San Francisco-born Jack London, and also through the Examiner's version of yellow journalism, with ample use of foreign correspondents and splashy coverage of scandals such as two entire pages of cables from Vienna about the Mayerling Incident; satire; and patriotic enthusiasm for the Spanish–American War and the 1898 annexation of the Philippines. William Randolph Hearst created the masthead with the "Hearst Eagle" and the slogan Monarch of the Dailies. In its stylebook, the Examiner has traditionally referred to San Francisco as "The City", capitalized, both in headlines and text of stories, and continues to do so. San Francisco slang has traditionally referred to the Examiner in abbreviated slang form as "the Ex" (and the Chronicle as "the Chron"). When the Chronicle Publishing Company divested its interests, the Hearst Corporation purchased the Chronicle. To satisfy antitrust concerns, Hearst sold the Examiner to ExIn, LLC, a corporation owned by the politically connected Fang family, publishers of the San Francisco Independent and the San Mateo Independent. San Francisco political consultant Clint Reilly filed a lawsuit against Hearst, charging that the deal did not ensure two competitive newspapers and was instead a generous deal designed to curry approval. However, on July 27, 2000 a federal judge approved the Fangs' assumption of the Examiner name, its archives, 35 delivery trucks, and a subsidy of $66 million, to be paid over three years. 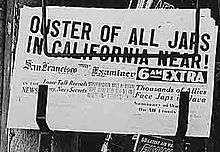 From their side, the Fangs paid Hearst $100.00 for the Examiner. 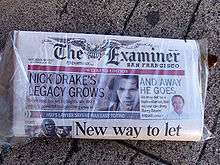 On February 24, 2003, the Examiner became a free daily newspaper and is now printed Sunday through Friday. Under Clarity ownership, the Examiner pioneered a new business model for the newspaper industry. Designed to be read quickly, the Examiner is presented in a compact, tabloid size without story jumps. It focuses on local news, business, entertainment and sports with an emphasis on content relevant to local readers. It is delivered free to select neighborhoods in San Francisco and San Mateo counties, and to single-copy outlets throughout San Francisco, San Mateo, Santa Clara, and Alameda counties, California. Clarity Media sold the Examiner to San Francisco Newspaper Company LLC in 2011. The company's investors included then-President and Publisher Todd Vogt, Chief Financial Officer Pat Brown, and David Holmes Black. Early, incorrect media reports stated that the paper was purchased by Black's company Black Press. In 2014, Vogt sold his shares to Black Press. Present-day owners of the Examiner also own the alt-weekly SF Weekly. ↑ Temple, James (2011-11-12). "SF Examiner to be sold to Black Press Group". The SF Chronicle. Retrieved 2016-05-22. ↑ Eskenazi, Joe (2014-05-06). "Todd Vogt, San Francisco Print Media Company President, Likely to Sell SF Weekly, Bay Guardian, Examiner". The SF Weekly. Retrieved 2016-05-22. ↑ Dudnick, Laura (2014-07-02). "New publisher named for San Francisco Media Co.". SF Examiner. Retrieved 2016-05-22. 1 2 James David Hart, A Companion to California, New York: Oxford, 1978, p. 441. ↑ How Old Is The Examiner? 1 2 3 WPA Federal Writers' Project, San Francisco: The Bay and its Cities, New York: Hastings House, 1940, OCLC 504264488 (Internet Archive text), p. 153. ↑ Bill Mandel, "The Case For One Daily," SF Weekly March 1, 1995. 1 2 Amy Bryer, "Anschutz buys San Francisco newspapers," Denver Business Journal February 19, 2004. ↑ Jessie Seyfer, Associated Press, "Judge clears way for Hearst to buy San Francisco Chronicle," Honolulu Star-Bulletin, July 27, 2000. ↑ Robertson, Lori (April–May 2007). "Home Free". American Journalism Review. Retrieved 2007-04-18. ↑ "San Francisco Examiner Sold to Black Press Group". The San Francisco Examiner. November 11, 2011. Retrieved March 31, 2012. ↑ Eskenazi, Joe (2014-05-06). "Todd Vogt, San Francisco Print Media Company President, Likely to Sell SF Weekly, Bay Guardian, Examiner". SF Weekly. Retrieved 2014-10-15. ↑ Dudnick, Laura (2014-07-02). "New publisher named for San Francisco Media Co.". The San Francisco Examiner. Retrieved 2014-10-15.